Although Radio Section staff of the New Zealand Post & Telegraph Department were increasing in number at the outbreak of World War 2, the work was increasing faster, stretching resources almost to breaking. Initially the focus was on putting into place existing agreements with the New Zealand Armed Forces and civilian services. 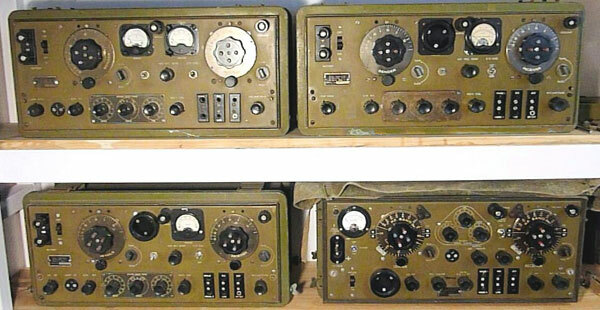 The outbreak of war had an immediate impact on the supply of radio parts and equipment from traditional suppliers. Equipment and parts, now urgently required, were in short supply in New Zealand and delivery times from offshore became stretched and uncertain. Trained radio people were in demand from all the armed services, and Britain had asked the New Zealand Government to send as many technicians, engineers and skilled radio assembly workers as possible to help bolster design and construction of urgently needed equipment for the British armed forces. The sending of a number of such people in response brought about a near crisis in installing and maintaining radio equipment in New Zealand. Special courses were set up in universities and technical institutions to produce graduates with skills in radio and electronics. Radio Section set up and ran three-month courses for school leavers. 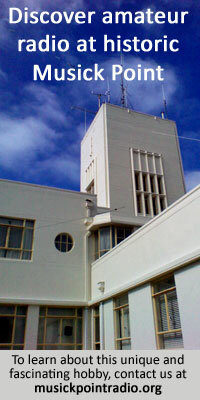 An agreement reached with the Navy in 1936 meant that the Navy would use the infrastructure at Wellington Radio for its overseas services rather than establish its own radio installation. Radio Section would provide equipment and its technical staff would maintain it. The Navy would provide specialist operators for all Navy communications passing through the station, which was essentially all Navy traffic for the whole country. Initially four transmitters were used exclusively by the Navy but by 1940 Navy traffic and operating staff had materially increased, necessitating additional receiving, transmitting and other associated equipment. Many of these were located at the Mt Crawford receiving station. 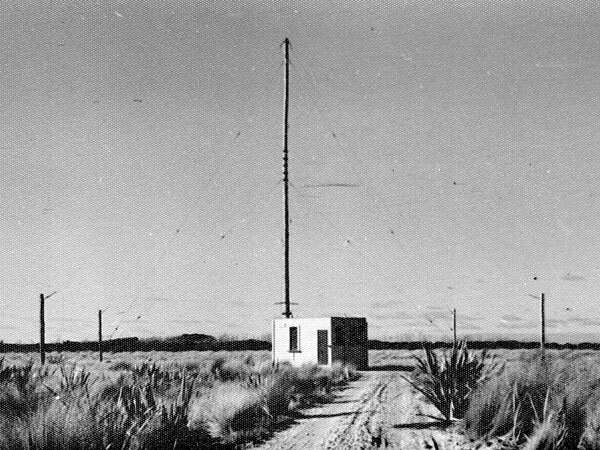 Another agreement with the Navy in 1938 after the Munich Treaty resulted in a listening station being established for Navy Intelligence at Awarua Radio, and this service continued throughout the war. Radio Section engineering staff continued planning and installing aeradio stations around the country. It had been expected that the RNZAF would establish separate stations at aerodromes as required, but instead operational difficulties caused ever increasing military traffic to be carried by the civilian stations. By 1942, Air Force requirements had mostly replaced civil aviation ones, and after a conference between the Department and the Chief of Air Staff in late 1942 stations at aerodromes occupied by the Air Force were taken over and operated by the RNZAF. Many of the operators were enlisted into the Air Force but the technical operation and maintenance, especially of antenna plant, remained a Radio Section responsibility. One of the upgrades to meet Air Force requirements at many of the aeradio stations was Medium Frequency Direction Finding (MFDF) and radio beacons. Other stations such as Musick Point in Auckland were progressively and significantly upgraded. As well as asking for technical staff to be sent to Britain to help in the war effort, the British War Office also invited a small number of leading electronics experts from Commonwealth countries to the UK to be briefed on the latest secret developments, such as radar. New Zealand sent the head of the Dominion Scientific and Industrial Research (DSIR) institution, Dr Ernest Marsden. Marsden’s task was, in the space of three months, to learn everything he could about radar, then purchase all necessary components required for the assembly of a system back in New Zealand. It was expected that this would stimulate ongoing research and development leading to eventual local production of radar sets as required. It was hoped that in the event of the fall of the UK, this transfer of knowledge would permit the Commonwealth to fight on. NZ-made C1 radar installed at Palmer Head, Wellington, 1940. Note camouflaged huts beneath antenna. Arriving back in New Zealand towards the end of 1939, Dr Marsden brought with him complete plans and key parts for a high power 5-metre set known as the Navy type 279SA. He also carried plans and parts for an experimental model ASV (air to surface vessel) set. Administrative responsibility for radar was held by the Radio Development Board. 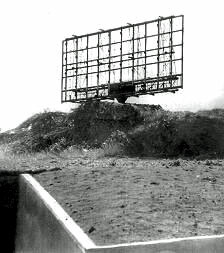 As the Post office had the best resources and largest number of staff skilled in radio technology, radar development and production was initially made its responsibility. The early development work was undertaken by Radio Section on the 7th floor of the Wellington East Post Office (WEPO). Located near the bottom of Cambridge Terrace and close to Courtenay Place, the upper floors of this relatively new building were taken over by Radio Section in 1939. Initial work was carried out using NZPO Radio Section staff and resources, working with seconded personnel from DSIR. The project was under the direction of Dr Marsden. By early 1940, this preliminary work was completed and contracts were given to Collier & Beale for the manufacture of a complete installation based on, and similar to, the type 279SA. The first installation of an ASV-based set, on Motutapu Island in the Hauraki Gulf, was ready for trials by June 1940. A joint Army-Navy exercise proved the potential of the set. Development of these units continued at Radio Section, including the installation of a set in a “Waco” aircraft stationed at Wellington Airport. In 1941 responsibility for the ongoing development and manufacture of the sets was transferred to Dr White at Canterbury University. Responsibility for radar development was transferred from the Post Office to DSIR on 31 May 1941 after the rapid ramp-up of staff and equipment outgrew the facilities at Radio Section. After this date, much of the development work on radar was distributed across a number of different sites around the country. Radar work continued at Radio Section throughout the war but after August 1942, when the DSIR established its own laboratory in Majoribank St, Radio Section involvement rapidly diminished. Some of my colleagues who worked in Radio Section at that time told me that security was very tight, with armed guards placed on the entrance to the building, on all floors and also the fire escape, thus controlling all access to the building. Regular meetings were held in Major Green’s office. The committee approved the manufacture of radio equipment such as the ZC1 Radio and other equipment required to meet New Zealand Government Department and Armed Forces requirements. A Radio Development Laboratory and small workshop for the development and manufacture of prototypes and small production runs of numerous electronic and radio devices was set up and operated by Radio Section staff on the fourth floor of the WEPO building. A quartz crystal manufacturing facility was also set up and operated by Radio Section staff on the second floor of the WEPO building, replacing the radio school which moved to an adjacent two-story building. Quartz crystals were in such demand that this facility had to operate three shifts a day for a time to meet the demand. The Crystal Lab supplied crystals to all New Zealand forces and the US forces stationed here, as well as meeting the P&T Department’s own requirements. Just before the war, a frequency measuring service was established and operated from Wellington Radio. In 1941 this service was moved to WEPO and operated by Radio Section staff. The equipment used was of particularly high quality and was the only one of its type in the country. In January 1941 the War Cabinet determined that “Post Office emergency radio equipment for emergency radio links between New Zealand cities and towns was sufficient for the intended purpose and could also be used to supplement Service installations.” In practice this was not the case, with the equipment approaching obsolescence and barely adequate to handle restoration and urgent traffic during outages. This resulted in a further decision being made to replace or upgrade existing stations and build new additional stations as required. By 1943, 17 new or reconstructed stations had been completed. Transmitters were 10 Watt HF units and associated receivers were all of 6-valve type. Soon after the outbreak of war the Fiji government sent their radio engineer to New Zealand to obtain assistance in designing an improved radio station at Suva. Assistance was given in designing a comprehensive radio centre to be located on Suva Point. The new station was intended to supplement the existing station operated under long-term contract by AWA of Australia. The main purpose was to support the proposed Pan American Airways Pacific service as well as providing services for the governments of Fiji and New Zealand. In October 1940 the New Zealand Air Force stated that it urgently required improved radio services at Suva and this was rapidly followed by similar demands from both the Royal New Zealand Navy and New Zealand Army. It was decided the station should go ahead with urgency, even if that meant removing operational equipment from New Zealand. It was agreed that the New Zealand PO and the New Zealand Ministry of Works would jointly establish the new station, which would be constructed to meet the requirements of the three services and Government traffic. The station was to be maintained and operated by New Zealand PO staff. A technical working party left Wellington on 24 October 1940. Within two months a site was chosen and the station made operational.